The Hollywood Bowl is a beloved LA landmark whose cultural and musical history has been delicately woven into the very fabric of our lives for over a decade. It will be featured in an upcoming MommyHiker.com article, but today I wanted to showcase a few quick, easy and nutritious summer picnic ideas, perfect for mad-dashing out to a concert or just to the neighborhood park! 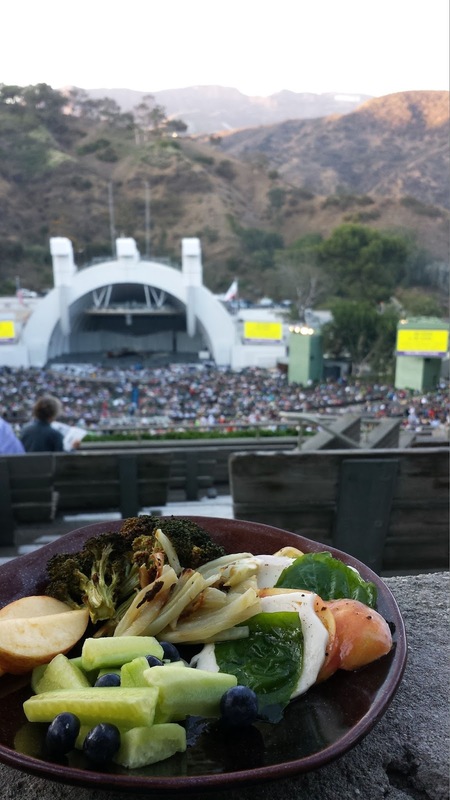 I don't see any mention of the wine pairings with the lovely selections……everyone knows you can't have a picnic at the Hollywood Bowl without a good wine! I've never thought to put cucumbers in a fruit salad. I know they're a fruit, but I've only used them in lettuce salads. Maybe next time I'll try tomatoes too.